Turkey Food. When the plants mature and die in the late winter, the decomposing tops and roots attract all kinds of invertebrates such as flies, beetles, and worms well into the spring. This couldn’t come at a better time of the year when there isn’t much quality turkey grub around. Natural Weed Control. Brassicas grow tall and have wide leaves that have a knack for out competing other weeds sprouting nearby. But that is just a physical weed barrier. They also produce and secrete chemicals called glucosinolates that act as chemical control by discouraging many weed seeds from sprouting. The two methods combined do a pretty good job of setting back the competition. Soil Improvement. Brassicas taproots go further than most species can to get nutrients from down deep. When they die, those “mined” nutrients are left on or near the soil surface for the next crop. That same taproot, when decayed, leaves a hole thus increasing soil aeration and water infiltration. We love planting brassicas. 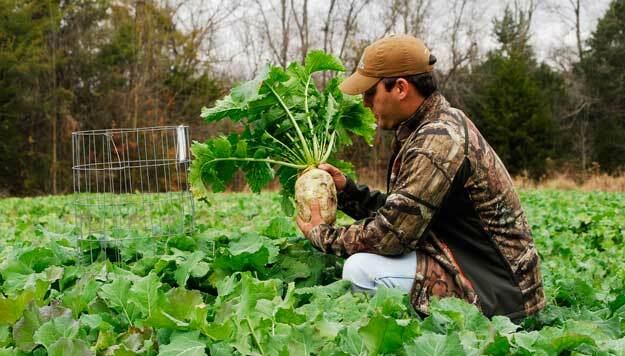 Find out more about how and why brassicas are a "Must Plant" if your serious about growing food plots. Check out this article: Why Brassicas? 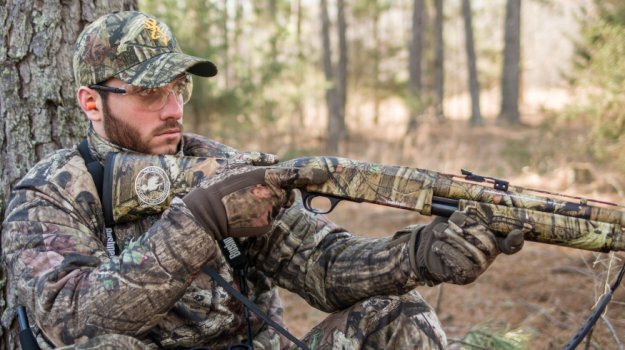 When we talk about planting tips for the hunting season, it is important to point out that there can be significant differences in the timing for where you might live compared to other gamekeepers. For example the guy or gal who lives in northern Minnesota will have a 45-60 day difference in the time of year when they would plant their food plots for the hunting season compared to someone planting in southern Mississippi. 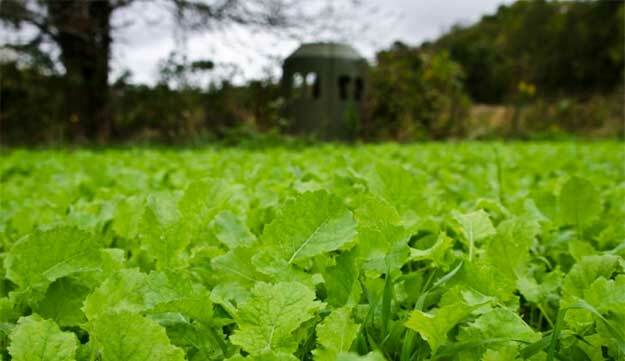 Brassicas are very easy to grow and provide an inexpensive, quality food source for your deer herd. 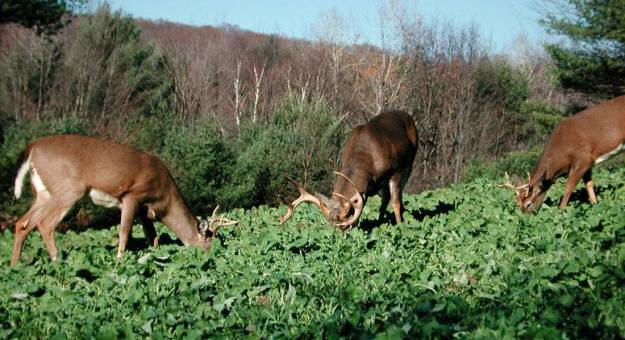 Brassicas also produce loads of forage, allowing those who can only plant small plots to keep deer on those plots for months at a time.